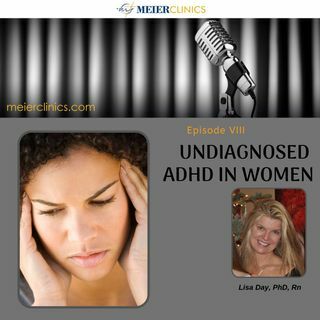 Dr. Lisa Day, one of hosts of The Meier Clinics podcast, discusses ADHD (attention deficit/hyperactivity disorder) in women. It can be undiagnosed especially in women. Listen in as she discusses why this happens, what symptoms are, what are common misunderstandings about this disorder in women, and the positives about treatment and having ADHD. Dr. Day has over 20 years of experience working with individuals, couples, and families struggling with anxiety, depression, eating disorders, ... Más informaciones behavioral/medical issues, addiction, relationship struggles, interpersonal boundary concerns, work/life balance, major life adjustments, divorce recovery, crisis, grief, forgiveness, and loss. She has worked in a variety of settings, including working with adolescents and adults in both inpatient and outpatient programs as well as working as a coach in assisting individuals to identify and reach their full potential in their social and occupational endeavors. Dr. Day is an expert in assisting clients to develop healthy boundaries, integrating healthy communication skills, and utilizing mindfulness in applying healthy coping skills to deal with the stressors contributing to their challenge. Dr. Day works with eating disorders ranging from anorexia and bulimia to compulsive overeating. In addition to being a licensed psychologist, Dr. Day is also a licensed registered nurse. This allows her to treat the whole person and understand how various stressors affect people both physically and emotionally.